Vice President of the Association of Professional Sri Lankans in the UK, Dr. Chesmal Siriwardhana was killed by a double-decker bus in Oxford Street in Central London around 2 am on Sunday, April 9.
tes after the postmortem, The Sunday Island learns. 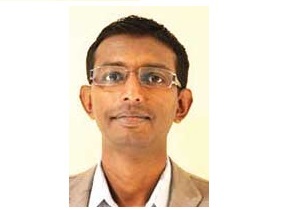 Dr. Siriwardhana, 38, was returning home to Greenwich after a night out when he was hit by the night bus N98. At the time of his death, he was serving as an Associate Professor at the London School of Hygiene and Tropical Medicine. He was the only child of the family. He studied at Royal College, Colombo and obtained his Doctor of Medicine (MD) degree from the People’s Friendship University of Russia. Dr. Siriwardhana arrived in London in 2009 for postgraduate studies and completed his PhD in 2015. He obtained both his Master of Science (MSc) in Psychiatric Research and Doctor of Philosophy (PhD) from the Institute of Psychiatry, King’s College, London. Professor Patrick Leman of the Institute of Psychiatry, Psychology & Neuroscience, King’s College, in a tribute to Dr. Siriwardhana said: "His untimely death is a huge loss to the world of global mental health and health migration research." The place Dr. Siriwardhana was killed was described in 2015 as "Britain’s most dangerous junction, where Oxford Street meets Holles Street".